NickLannon.com: When is a Three Point Shot a Declaration of Independence? When is a Three Point Shot a Declaration of Independence? Only one game after controversially benching Kobe Bryant during a key fourth-quarter stretch, Lakers head coach Mike Brown felt forced to do something similar with All-Star center Andrew Bynum on Tuesday. Bynum, a seven-footer who has taken eight three-pointers in his entire NBA career, took an ill-advised (and let’s be honest…all Bynum outside shots are ill-advised) three point shot during the Lakers 104-101 win over the Golden State Warriors. It barely touched the rim, missing by a mile. Incensed, Brown immediately called Bynum to the bench and put in a substitute. 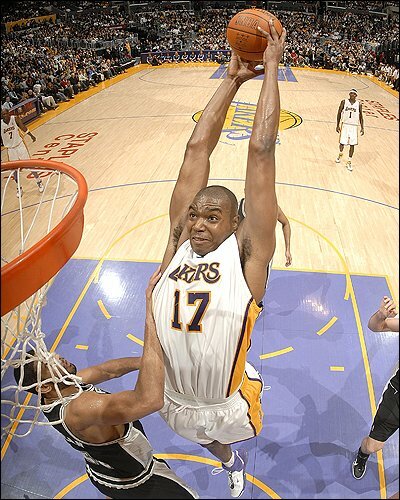 Bynum did go back into the game after a stretch, but the benching was clearly punishment for a shot the sanity of which the play-by-play announcers questioned during its flight. So far, this is uninteresting. 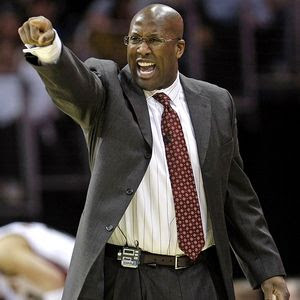 Anyone who’s ever played basketball has probably been pulled out of a game by a frustrated coach, and moreover, everyone who’s ever played basketball has probably, at one point or another, deserved it. It’s what Bynum said to reporters after the game that has raised eyebrows. So there you have it: message received, and message ignored. People think that punishment will correct behavior. 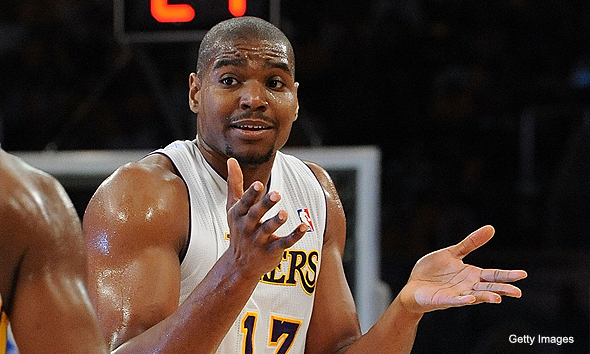 Andrew Bynum’s postgame comments illustrate a competing (though more accurate) truth: punishment incites rebellion. The law (e.g. don’t shoot three-pointers if you don’t have a reasonable expectation of making them) asks for a certain behavior. Bynum got it right: Don’t take threes. When it doesn’t get what it’s looking for, the law inflicts punishment, hoping that a program of reeducation will produce better results the next time. Unfortunately, as Christian theologians have always noted, the law is much better at asking for a result than it is at achieving it. Martin Luther likened the relationship of the law to results to a lion held down by steel bands. The lion fights against the bands…and the tighter the bands become, the more viciously the lion fights. We fear freeing the lion because of the ferocity with which it strains, forgetting that all the while the lion is fighting the bands, not us. Released, the lion has nothing to struggle against, and will likely cease its struggling. In the world of competitive basketball, of course, sitting a player on the bench for long enough may well break him of a bad habit. But so far, it’s having the reverse effect. Bynum is planning on launching more shots from long range, not fewer. As our view lengthens, though, and our scope expands, we might well note that even if Bynum is eventually benched enough to force him to stop shooting threes, won’t he consider his coach a ruthless tyrant and undermine him in other ways? Won’t he be much more likely to find another team in free agency (or at least threaten to do so unless Brown is fired)? Is the tightening of the bands on Andrew Bynum (though it might work on the surface) worth the damage it will surely cause to his fragile (i.e. human) psyche? Aren’t we all happier free, and isn’t it true that grace (e.g. the freedom to shoot) can provide the space to realize what it is we’re really good at, and allow us to settle into the behavior, by choice, that the law was asking for in the first place? As a Sixer fan, I just want to say that I think Bynum should have to shoot as many three's as he can physically shoot in a game, at least when they play us. Great post. I think we can all agree that we want Bynum shooting threes against our team. See you at Mockingbird this year, Mark? Yes, looking forward to being there and seeing more Mockingbird!